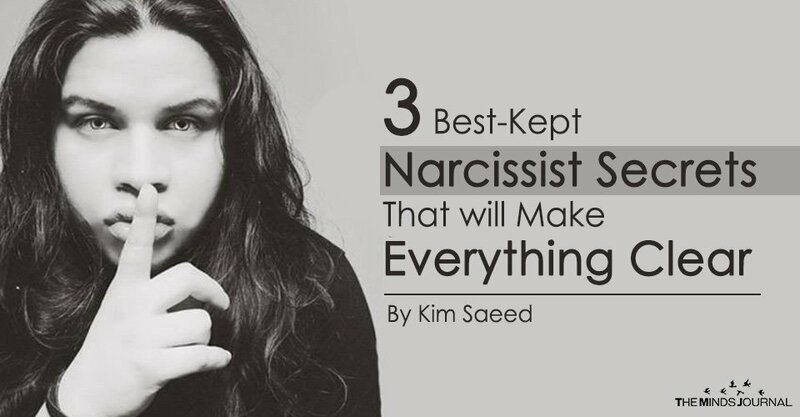 Want to know if your partner’s a narcissist? Stop catering to their excessive demands and see how they react. Narcissists and other predatory types can detect vulnerability in people through visual and auditory cues such as facial expressions, body language, and tone of voice. People who feel vulnerable often avoid direct eye contact with others, tend to look downward a lot, speak in softer voices, and/or are overly nice and accommodating upon first meeting them. Even if a potential target doesn’t display the above behaviors, narcissists can alternately determine if a person is a good target through other behaviors and traits such as: high levels of trust, compassion, cooperativeness, and tolerance (traits which they gleefully concede they can take advantage of). They then use their target’s vulnerability to reel them in, and also to keep them enmeshed in a toxic relationship through psychological manipulation which targets their victim’s emotional wounds and destroys his or her self-esteem. If you’ve been hurt in the past and/or have a history of choosing partners who end up being detrimental to your well-being, know that this cycle can be broken through committing to yourself and your recovery. Once the honeymoon/love-bombing phase begins its dismal decline, the narcissist then starts blaming your relationship problems on your outside influences, which may include: parents, grandparents, siblings, other extended family, exes, best friends, and even children. After the isolation stage has been successfully implemented, silent treatments can be employed with maximum benefit to the narcissist. After ensuring you have no emotional support, the narcissist can then criticize you without bias. This is the same technique that was used in North Korean POW camps . It was not uncommon for a soldier to wander into his hut, go in a corner, sit down, pull a blanket over his head, and die within two days. Despite minimal physical torture, the death rate in the North Korean POW camp rose 38%, with half of the soldiers dying simply because they had given up. How did this happen? The “ultimate weapon of war”. One that your Narcissist uses against you quite regularly. They used negativity in its purest and most malicious form. The soldiers had nothing to live for and lost basic belief in themselves and their loved ones, not to mention God and country. The North Koreans had put the American soldiers into a kind of emotional and psychological isolation, the likes of which had never been seen. Aside from the silent treatment, does the simple act of walking through your house to go to work seem to induce a psychotic rage in your partner? They want you to feel sorry for being alive. To be so overly anxious that you feel you’re always one minute away from tragedy.